Club N Caldes: How to make your first step in digital railroad modelling? How to make your first step in digital railroad modelling? The previous question has been done by all of us who at certain point wanted to start managing our trains in digital. Probably you have experience in analog and have your own layout of any size. As many modelers at this point you expect to be able to buy a “digital transformer” to change your analog one and be able to run more than one train in each circuit independently. But when you start your research to select the best value equipment, you realize this is not so easy. Many new concepts arise, looks like there are hundreds of different systems and components. People talk about DCC, Selectrix, Motorola, Loconet, XpressNet, CBUS… and name different types of equipment like booster, command station, feedback module, outputs module, stationary and mobile decoders, throttle, locobuffer…. And many of them seem synonymous! After a long time of research you decide to ask in a train related forum “What should I buy to start my new layout in digital?”, or if you understood the previous concepts ask for a recommendation about a concrete model of command station with which to start your system. And without conscious awareness of doing so, looks like you throw a gasoline bin in the digital thread of the forum and a lighted match. For each recommendation, there’s someone suggesting a better one in terms of budget, performance, power or whatever else. I and many others had this tough start in digital railroad modelling, and I still see desperate people asking those kinds of questions in all forums. Finally at this point, some people prefer to continue in analog. Others just take one of the suggestions and start with it not really convinced if it was the right decision. But the fact is that you asked a no direct answer question. Let me explain it with a simple example: imagine you want to buy your first car, and just enter a multi brand dealer and ask to everybody there “Which car should I buy?”. It’s not possible to make a good recommendation if beforehand you are not asked about your budget, how many family members you are, how many kilometers you drive normally each year, what kind of roads you normally transit, and many other personal tastes. So don’t expect here a simple and direct answer, but maybe I can suggest dome do’s and don’ts that can be useful through the description of the basic components of a digital controlled railroad layout. And don’t worry, if you managed successfully to buy a car, for sure you will do it as well starting in digital control. The first thing you need is a decoder (also called mobile decoder) installed in each locomotive. A decoder is like a micro-tiny-computer that receives orders through the track power in order to set the motor speed or turn on or off lights. There are also sound capable decoders that can play sound effects with a small speaker installed also inside the locomotive, and “only function” decoders to install them in not motorized cars to drive lights. There are locomotives already prepared with standard connectors to plug a decoders, and in not DCC ready ones you will have to solder the wires. For sending the orders, you need two elements. First of all is a throttle, normally including a knob to set the speed and a small keyboard to select the locomotive to manage and turn on and off functions like lights. Second you need a booster: that element provides the power to the track and modules the current to encode the commands ordered by the throttle in the way needed by decoders to understand them. Of course both the booster and decoders must “speak the same language”, and there is no possible discussion about the system to choose: DCC. There are others like Selectrix or Motorola, but it happened like with Beta and VHS video, not the best one was adopted by most of the fabricants and now dominates the market. And I say it’s not the best because this DCC protocol is unidirectional, just able to send orders but not able to receive information from the mobile decoders, and this has a lot of implications as you will see later. But be careful to choose always DCC compatible decoders and boosters if you don’t want to be a renegade. If your layout grows a lot and you have so many trains on it that your booster runs out of power, you can always add a new booster (isolating rails so current of each booster is independent from the others). It’s usual to see “all-in-one” devices, including a booster and throttle in one box plus a PC interface and other type of connections. That’s normally also called command station. But this last term is a bit confusing depending on who you talk to, because it can be referred to a booster, a throttle or an all-in-one device. 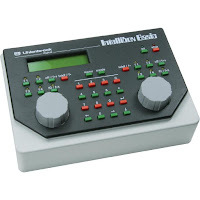 An “all-in-one” device is very recommendable for beginners because it works “out-of-the-box”, no need of connections and configuration of the distinct elements, and normally is cheaper than buying them separately. Just be careful with cheap starter sets. They look like a good investment, and they are perfect for a child’s layout with just few trains, but it will probably finish in the trash when you realize they don’t implement all the digital features needed for a medium or large sized layout and it’s not possible to extend them connecting directly a computer or more throttles from other manufacturers. You will also find many do-it-yourself solutions to build your own hardware, but as a beginner is also advisable to avoid them doesn’t matter the skills you have. It’s the cheapest solution and many of them very professional designed, but too time consuming and difficult to build for your fist system. Next step is to manage switches. For that, the oldest solution is to use the DCC protocol capabilities of sending commands and connect to the track power “stationary decoders” or “modules”. 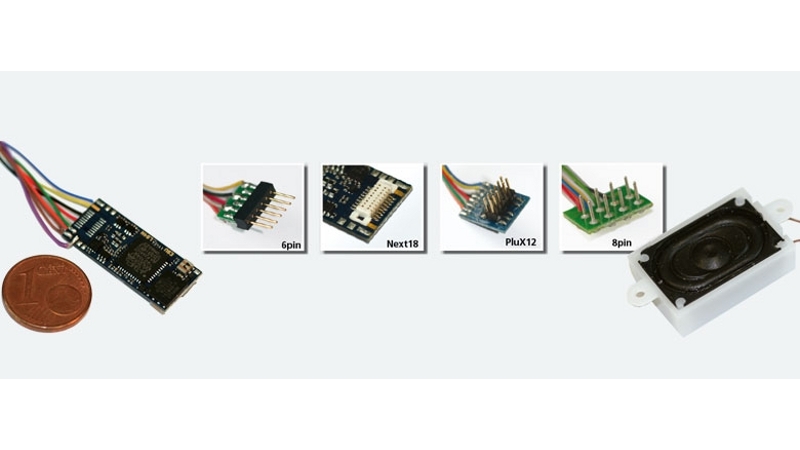 These modules or stationary decoders are connected to the track power in order to receive commands and drive the switches (point motors, servo motors,…). But the cons of these kinds of modules are that they consume booster power (it means less power to run trains) and they cannot send back information like the current position of the switch (because they use DCC protocol, and as I explained is unidirectional). They are a good and cheap solution for small layouts, but not so good for medium or large ones where you will want to drive trains also in an automatic and safe way. 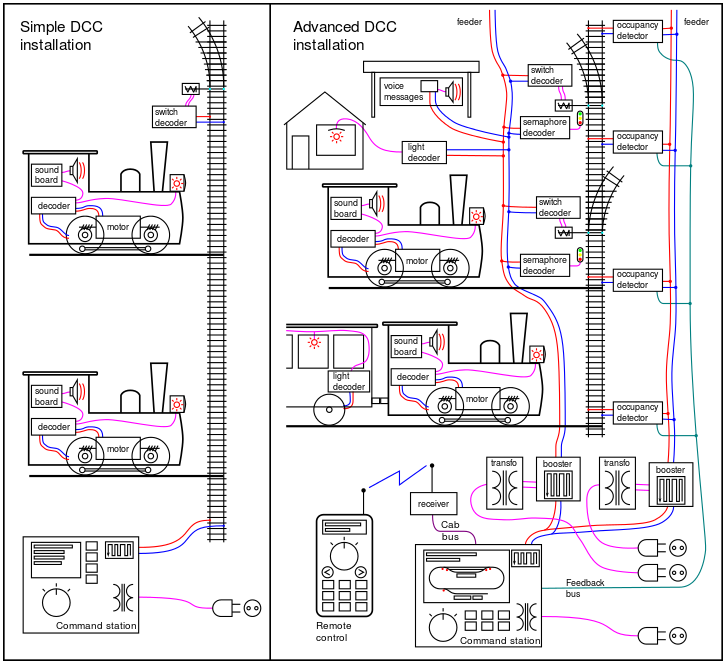 So the last trend is to use an independent bus or connection for all modules responsible of managing switches, sensors, lights or any other thing in your layout, with an independent power source and not connected to rail power. I strongly recommend the use of a Loconet bus as it’s supported by many fabricants (Digitrax, Uhlenbrock, Doehler&Haas or ESU to name a few) and there are also many DIY solutions to implement when becoming more experienced. There are others like XpressNET or CBUS not so extended but probably better designed, despite they tie you to just one fabricant or two. That’s the next step in digital control, move trains in an automatic or semi-automatic mode. The first one means that selected locomotives will move automatically from block to block in a random way but under some parameters we can adjust in the software. Depending the software it will allow more or less options, but most of them allow to configure, amongst other things, the type of train (electric, diesel, local, intercity,…) and length of each train to match the appropriate blocks to go and stop or pass. Software will start and stop locomotives and will change the needed switches and block them until the train has moved to the following block. In semi-automatic mode the software decides the destination in the same way, but you have to start and set the speed and stop the train in the right block. You can have some locomotives in an automatic mode, others in semi-automatic and others in manual. 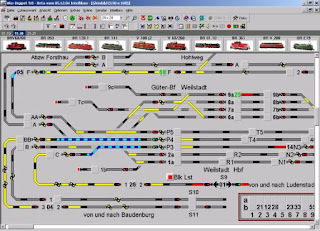 Also everything can be combined with timetables, schedules, predefined routes for certain trains, semaphores… the possibilities are infinites but always depending on the software functionalities. 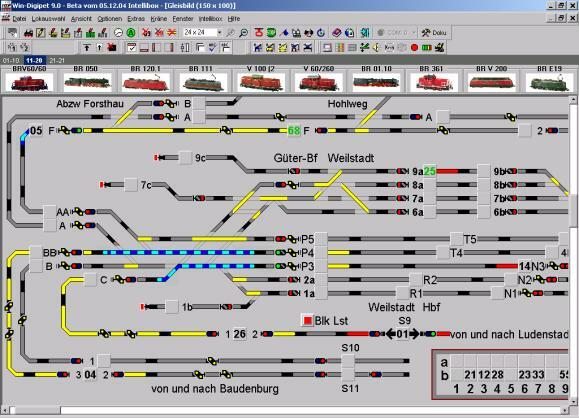 But first of all the software must know where is each of the trains, and to do so you have to define blocks. A block is a concrete length of continuous track (with no switches in between) where a train can stop. This is defined in the software, is a logic concept. And for each block, you assign physical sensors. There is a lot of discussion about how many sensors should have each block. As a general norm blocks in a one direction tracks should have two sensors, one to know when the train is entering (in order to reduce its speed) and one in the place where it has to stop. For a double direction track, blocks will need three sensors. But this is a general norm, it can be done with just one sensor (no good precision in stops) or 4 or more to achieve more accurate and smooth stops. There are several types of sensors, my favorites are current consumption sensors because you don’t need to modify your locomotives to detect them, but many people prefer reed contacts (where you have to install a little magnet to each locomotive). I will not go deeper in sensors and blocks because it could take a complete article to see them in detail. Whichever it is, a feedback module reads the state of the physical sensors and send the information of occupancy to the computer. There aren’t feedback modules compatibles with DCC, because this protocol only allows sending orders and information to the modules, but not from the modules in the opposite way. For this reason a new communication line or bus was invented at the beginning of digital control called S88. It is still widely extended but as it is a very old communication system I completely advise against it. 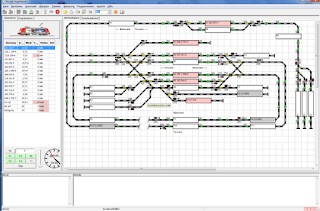 If your layout is big enough so you plan to connect control software, you will have output modules connected to a communication bus (Loconet, Xpressnet, CBUS or other) and DCC output modules would hopefully be discarded. Then use feedback modules also compatibles with this bus and only one communication cable will be needed in your layout having all the power of DCC just to move trains. You have several programs to choose from. 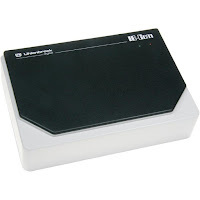 Some of them are expensive and over 400€ easily, but very friendly to use and very professional like Windigipet (http://www.windigipet.de/) and TrainController (http://www.freiwald.com/). But you have also some freeware software to choose from like JMRI (http://jmri.sourceforge.net/) with an excellent and free tool to program decoders or Rocrail (www.rocrail.org), for me the most complete software which has more functionalities that the most expensive one. On the other hand, it’s not so easy to use and you will find a lack of documentation that you have to compensate investing a lot of your time to learn how to use it. There are also intermediate solutions like iTrain (http://www.berros.eu/) which costs not more than 200€. Many of them allow the use of a tablet or smartphone as a throttle or as control panel, some free and others paying additional costs. It’s difficult to make a recommendation about software, but try at least at the beginning a free one like Rocrail. You can always pay and change to another one if you feel it doesn’t fit you. Most of them also allow you to download a trial version, so install all of them and try. I just want to mention that there are some systems able to identify trains. Uhlenbrock developed what they call "Lissy", and Digitrax has "Transponding". Both systems are used to identify each train when they stop in a block. This is not a needed feature to have all the benefits of a digital layout and run trains automatically. And as I never felt the need of it, the truth is that I never tried any of them. In addition, they are proprietary systems. 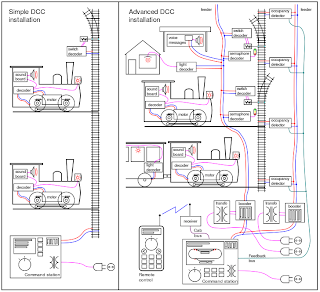 Again, if DCC had been designed with bidirectional communications, all this "parallel" system wouldn't be needed. Indeed, there are no bad digital control systems, just wrong elections for concrete uses. Even those simple starter sets which I don’t consider a real digital control system are perfect for the smallest layouts, despite for me are not the best option to start learning. If you plan a small sized layout without computer control, you can have an “all-in-one” command station (booster + throttle + pc interface) and use cheap DCC decoders for switches. In this case you can even cut more the budget with a booster with PC connection and free software like Rocrail or Jmri. But managing trains from touch screens or your mouse is not so pleasant like a traditional knob and physical buttons. Also take into account that normal boosters have 3 Amp of power source. One train usually drains 250mA, but depending if it has illumination or sound it can easily double the current consumption over 500mA. Adding DCC switch decoders you have less than those 3 Amp for trains, so the limit for this approach would be (for me) a layout with no more than 10 switches and a similar number of trains. This can vary a lot in practice however. And at any time you plan to move trains automatically or your layout is bigger than the previous example, then your best approach is to use a communication bus for all the elements. As I said, Loconet seems to be the one supported by the biggest number of brands. This doesn’t mean to be forced to do a huge investment. You can start with an “all-in-one” command station (but Loconet compatible) and Loconet feedback and outputs modules and grow at the same speed than your layout. In this way you can move trains from the very beginning and start with the PC software later or add another throttle at any time. Also makes your layout polyvalent because you can drive trains without turning on the PC (I use to do that when I just have half an hour or to test a new train), or in complete automatic system. If a friend comes at home, he can use his own smartphone as throttle to move a train or my physical throttles of my command station. There are also solutions for those having hundreds of trains that seem impossible to digitalize for both cost and time. One friend of mine in this case bought a command station with Loconet bus and digitalized all switches, signals and lights of the layout. He installed a double pole switch to change the track current to digital or analog, so he can run his old trains or new ones with decoder installed, but using always the PC or a tabled as control panel, doesn’t matter if he is running analog trains. This couldn’t be done with DCC switch decoders and without a bidirectional communication bus. Mount a simple oval shaped layout, with a pair of switches and two light signals and try there your chosen system. 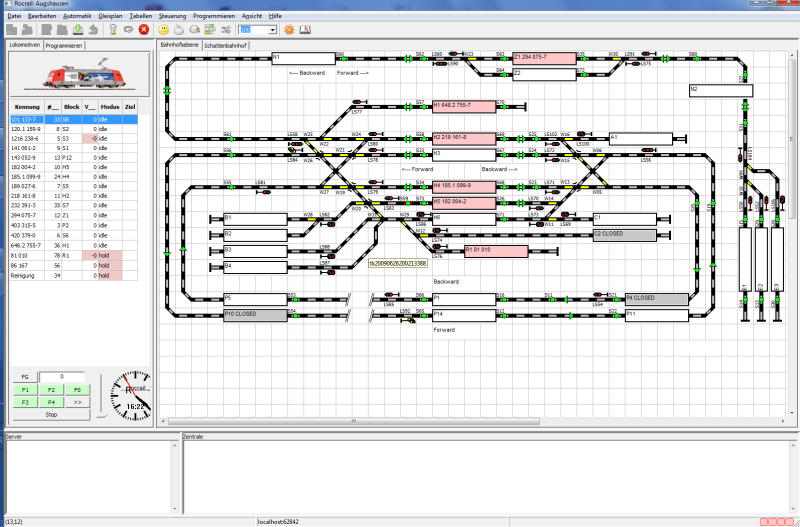 Start moving manually your trains, then managing the switches, and finally add some sensors to the test track and connect the PC. When you can move automatically a train from one block to the following, you are ready to start planning and building your definitive layout. If you have a an experienced friend near you who has a similar size layout than the one you want to build and with all your desired functionality, is not a bad idea to “copy” the system. You will face many problems where your friends can give you a straight solution because he already solved them. Put aside DIY solutions, this is for the last step or your second layout. Your decision must fit the expectations and budget of yourself and no other. Don’t be too ambitious, but make sure the selected equipment to start can grow and expand. 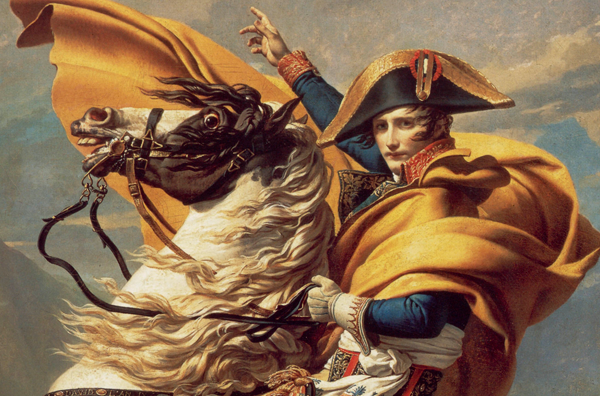 Napoleon once said “dress me slowly, I’m in a hurry”. This is a common saying in Spain that modellers do not apply most times due to our innate impatience, but believe me that you will reach your target sooner than you expect following the previous recommendations.